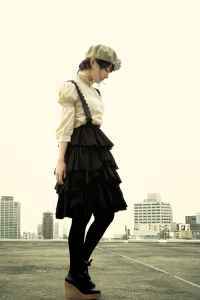 Miho Komatsu (小松 未歩 Komatsu Miho) is a former Japanese pop singer and songwriter under Giza studio label. Four of her songs were included in The Best of Detective Conan, a soundtrack album for the anime Detective Conan. She has recorded 26 singles and 11 albums.